After a long hiatus from writing articles, I found something interesting to tinker with again after a customer asked about VPN, I had never tried it so my answer was “It should be possible, but I’m not sure”. Now I can say that it is definitely possible, and give you a practical setup utilizing IPSEC to hook into your sweet Cisco ASAs in your corporate networks. This was tested using two cloud networks, but it should work for cloud network to anything that supports IPSEC. You could also potentially do this with any other VPN solution, such as OpenVPN. This guide will walk you through setting up an openswan ipsec tunnel that connects one network to another, as well as a dhcpd server to make it mostly automatic to anything on the network. Read on after the jump. The ability to have temporary URLs is something that has been requested for quite some time. Since Cloud Files runs on openstack swift, we get some of the new features available, such as temporary URLs. This will allow you to create temporary URLs so your end users can consume your product, while having it expire after a few days, or minutes, so it isn’t possible to share the link, limiting unauthorized downloads. Keep in mind, this isn’t officially supported by Rackspace yet, so you’re on your own for it, however it does work and you can start taking advantage of it now. Read on after the jump for the how-to. 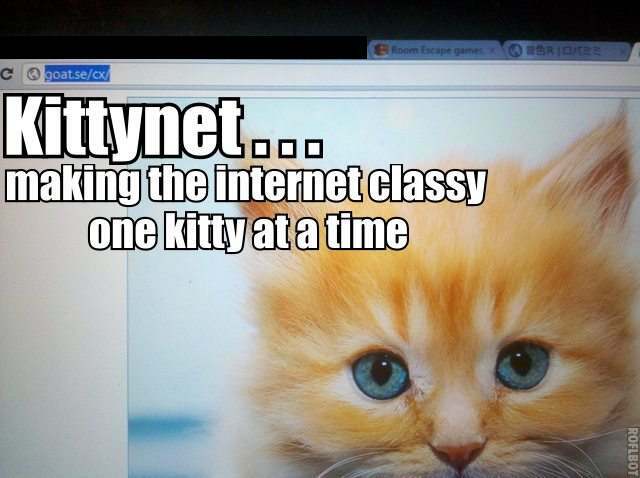 Have you ever wanted to just set up a wireless network that replaces pictures with cats? I wrote an article a while back about load balancing with HA Proxy. If you’re wanting to do SSL, it lets you do it, but SSL will terminate on each individual webhead. This works quite well for performance, and it is designed with performance in mind. Unfortunately there are some cases where you want the SSL to terminate on the load balancer (for instance if you’re making use of the X-Forwarded-For header). This article will explain how to setup Nginx as a load balancer with SSL termination. Read on after the jump for the howto. I’m a pretty big fan of two factor authentication, it lets you secure a server significantly without inconveniencing your users too much. I’ve used ppp-pam before, and use RSA SecurID for a few things as well, they’re great implementations. Today it came to my attention that Google had made an authenticator for Google apps account, but also made a PAM module. It works fairly close to RSA SecurID – you put in your password, after that works you give it the code that the app on your phone displays, it changes every 30 seconds or so based on it’s algorithm. This article is going to cover how to set it up on your own Linux server. I’ll be doing this on a Debian 6 install, you may need to alter commands, so go ahead and read on after the jump for the how to. I see complaints across twitter and the feedback page, as well as various blog posts about how the Rackspace Cloud doesn’t support this OS, or that OS. With the introduction of PV-Grub, you should be able to run nearly any OS you want – with a bit of work. Keep in mind, this process is entirely unsupported by Rackspace. If your OS breaks on you, and you’re using some OS no one has heard of, they’ll be hard pressed to support it. A good understanding of the OS you want to use. For my example, I will be using Suse 11.3, it should work the same for other OSes. Let’s go ahead and get right into it. To compile kernel modules on a Cloud Server you need to complete the following steps, making sure to change the kernel version and directories where appropriate (–for example, 2.6.33.5-rscloud extracts to linux-2.6.33.5, whereas 2.6.35.4-rscloud extracts to 2.6.35.4-rscloud).